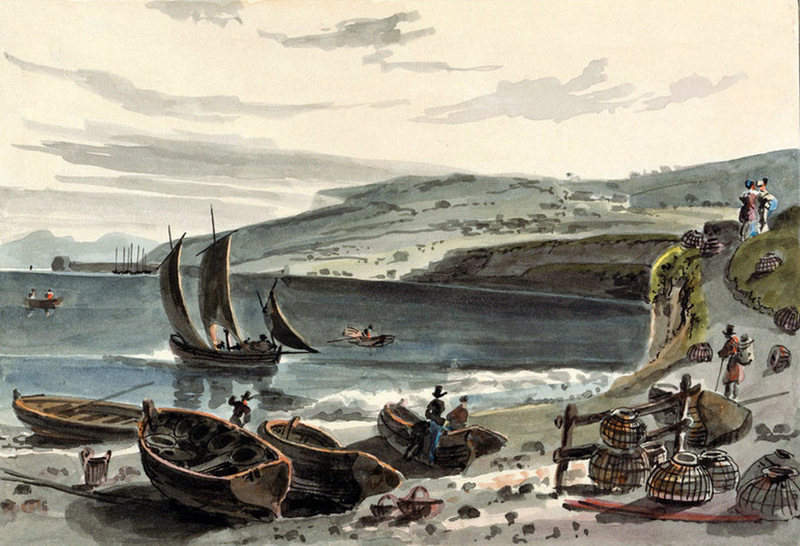 This Aquatint of Lyme Regis from Charmouth Beach was by William Daniell,R.A. 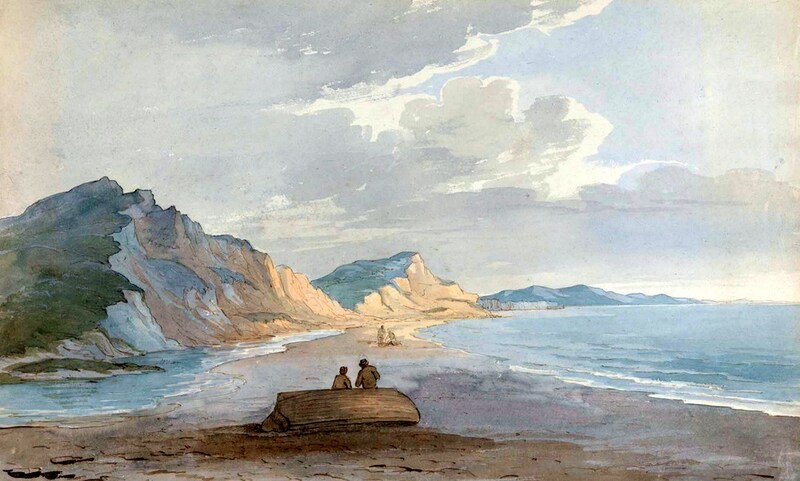 It appeared in Daniell`s well-known "Voyage round Great Britain" .The Charmouth end of the lane ran along the edge of the cliffs for the whole distance between Lyme and Charmouth is here shown. 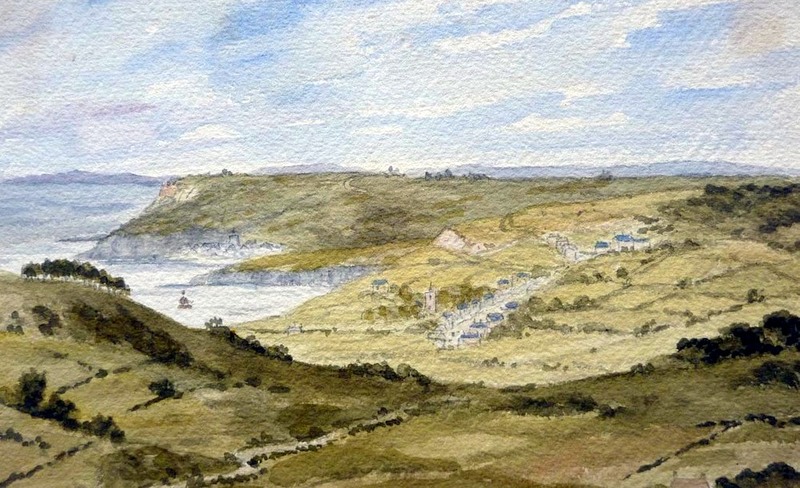 The Lyme end is marked by Church Street today.The original water colour is shown below. 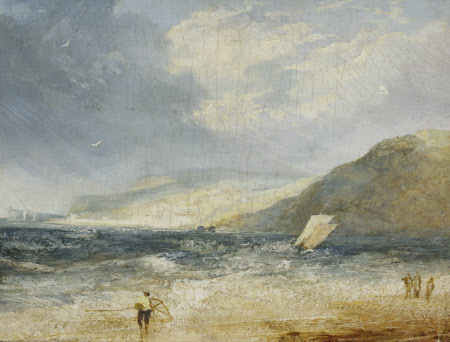 Britain's greatest artist - J.M.W.Turner visited Charmouth in 1811 and painted this beautiful view of a squall looking towards Lyme Regis,which now hangs in the Kelvingrove Gallery in Glasgow. There are 3 drawings in his sketchbook which records the village in that year. In 1539 a map was commissioned to show the defences along the Southern coast. 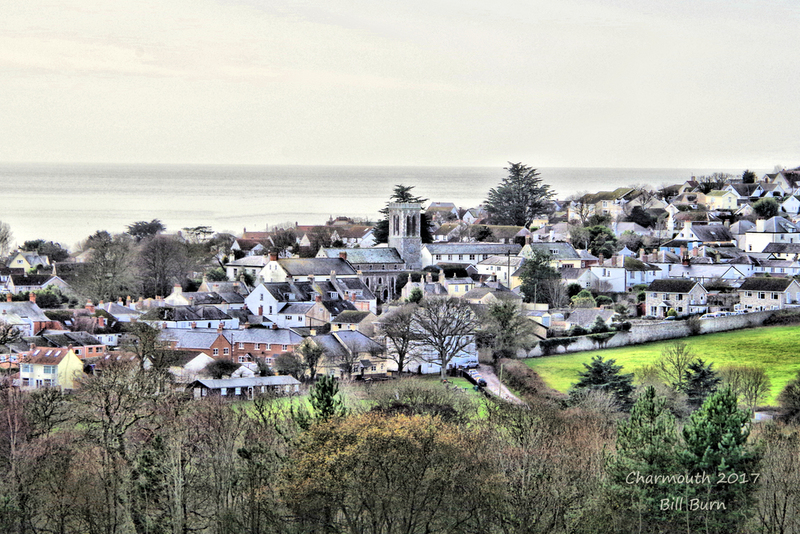 Though simplistic it does give an idea of how the village looked with a group of buildings surrounding the Church. 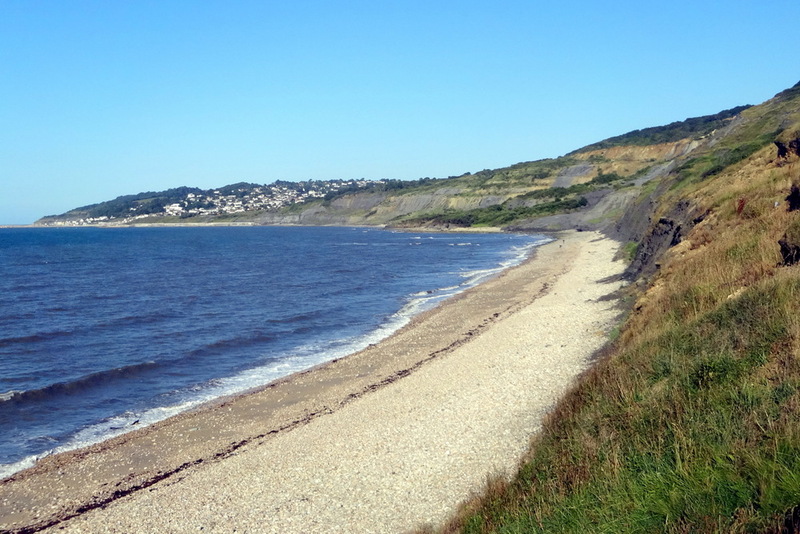 To the right of the beacons is Lyme Regis with its Cobb clearly shown at the top. The Church is not dissimilar to the model of the earlier building. 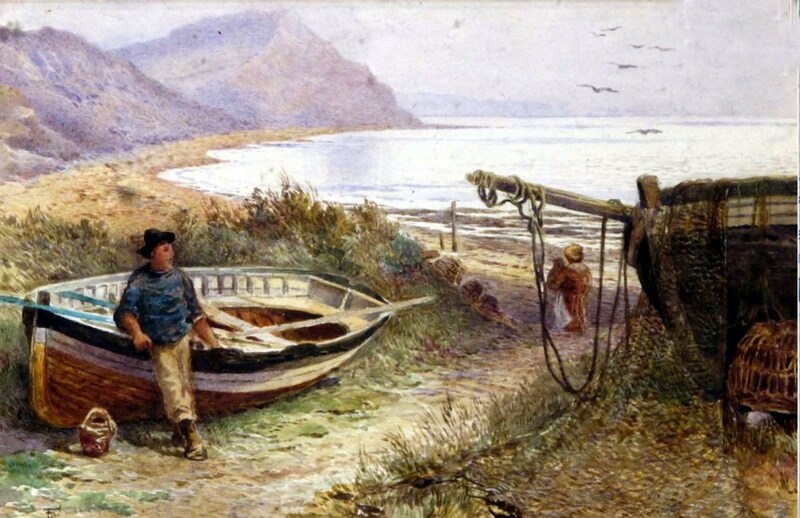 Two years later Leland tours England and describes Charmouth as a "Good Fisher Town", it has an estimated population of 200 at the time.
" 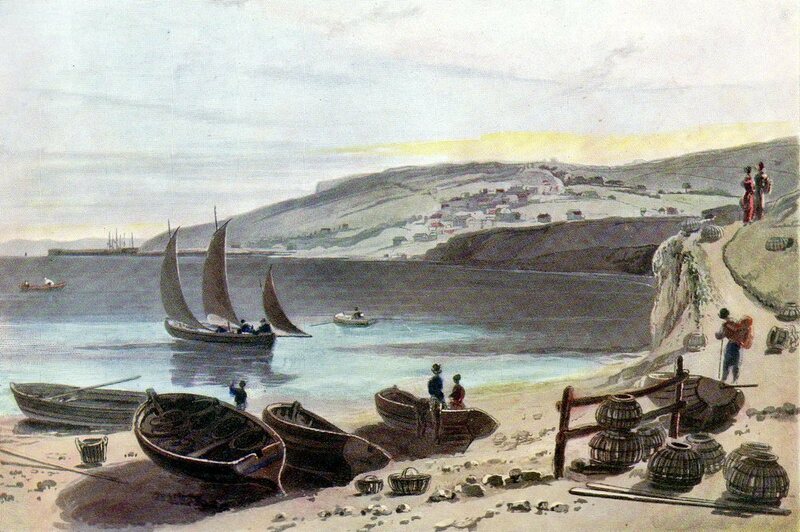 Chidioke and Charmouthe are two beaches to lande boates, but it must be very fFayre wether, and the wind northerly. Lym. A cobbe or peere, wherein shyppes may aryve, having fayre wynd and bringing the tyde with them, and no danger." 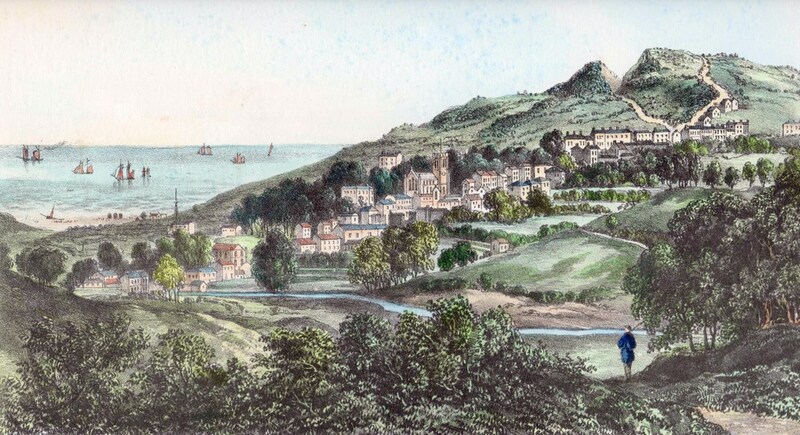 To pay for the ships, Charmouth was assessed with many other coastal towns in that year.The list has survived and includes Edward and William Limbry paying 10 shillings and Anthony Tutchen pays 8 shillings and 4 pence. 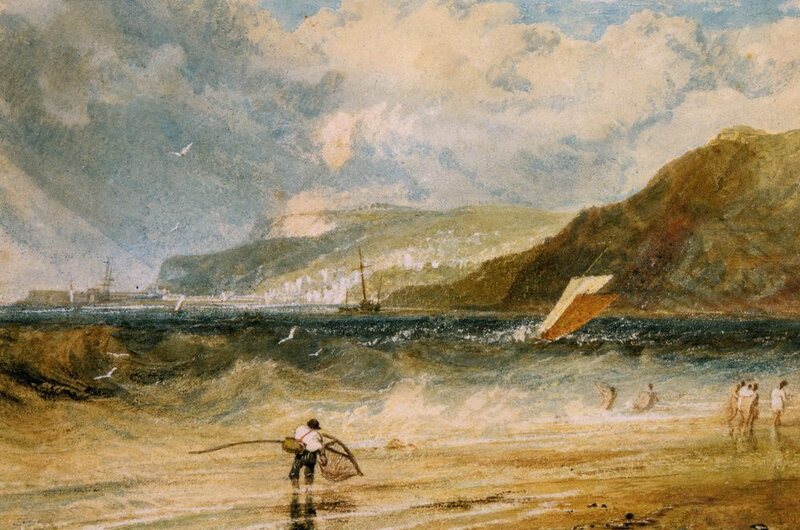 The Western Gazette of 6th February 1840 reported that "A large female whale was driven on shore at Charmouth yesterday morning, and secured by the preventive men, who have been allowed by Mr. Bullen , the lord of the manor, to exhibit for three days. It measures. 46 feet from the tail to the snout and 24 feet circumference." 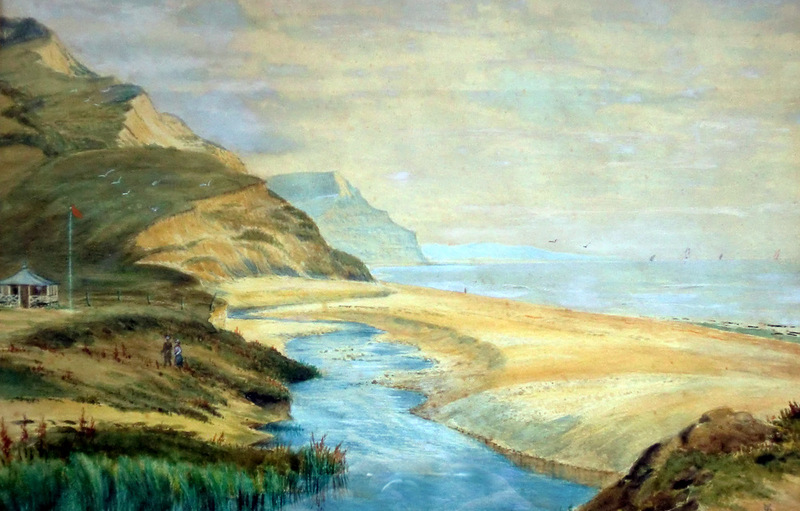 A View of Charmouth by Daniel Dunster c.1850. 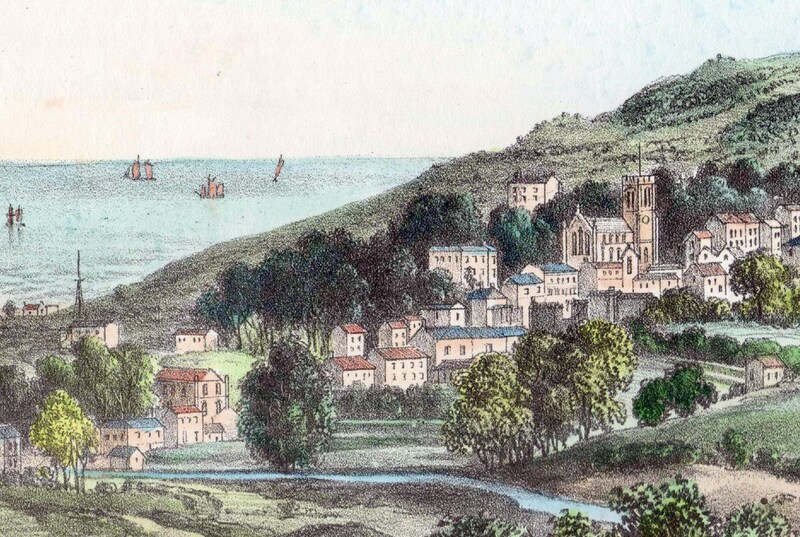 A close up of the View of Charmouth by Daniel Dunster c.1850. The same view taken by Bill Burn in 2017 showing how the area to the ancient Monks Wall dating back to the 13th Century has been filled in.